The sun is our utmost vital source to life, power and energy. Here at Sunshine Kate’s, we believe in encouraging a lifestyle that embraces all of these things in the most positive way. A divine way to support the body as we move into fall! De-stress in the 'Sweatiest' of ways. 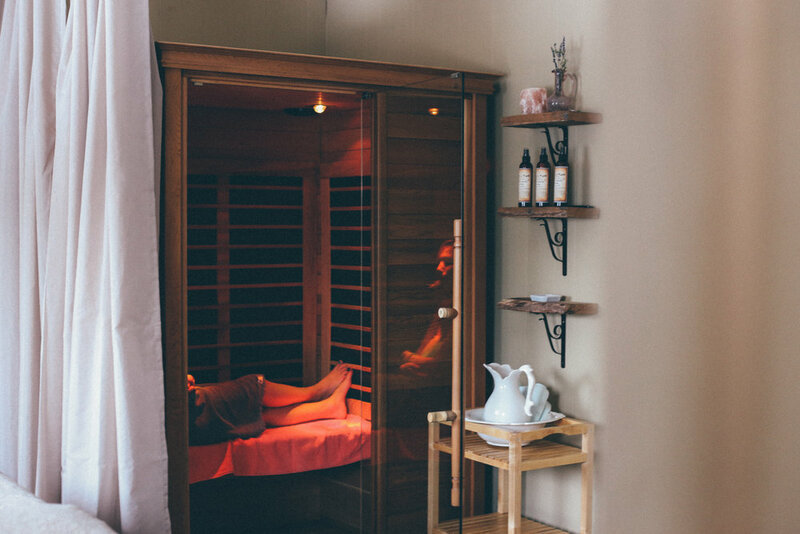 Enjoy 25-minute infrared sauna sessions for $25. Bring a friend for $15. Apres sauna session, enjoy a mocktail/tea. and then continuing onto a luxury spa in the foothills of the Himalayas in India August 4th-August 11th. Is this your year to join us?! Are you the Author of YOUR Life? And Tools to Get Back There!